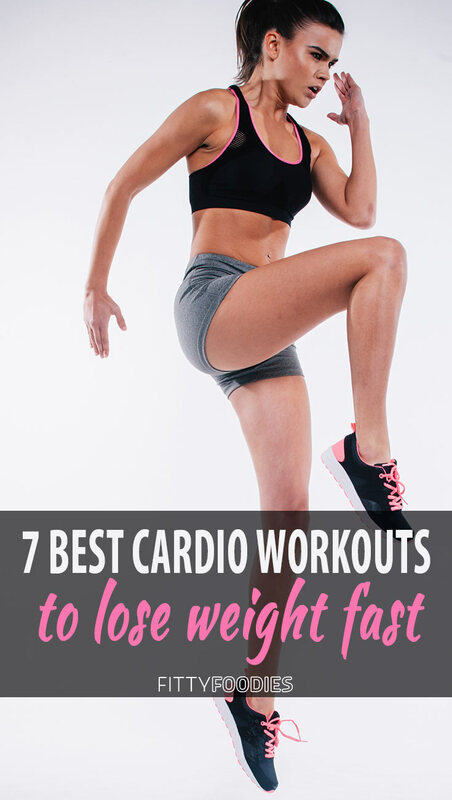 Do you want to know what the best cardio workouts to lose weight are? Well, in this article, we will teach you the benefits of cardio and why you need it in your weight loss journey. Cardio is one of the key elements of successful weight loss. The problem is, many people don’t know how cardio actually works and why it’s so important. Also, there is often a false assumption that only high-intensity jogs on the treadmill can be called cardio. Why do you need cardio? Well, cardio isn’t JUST a tool to lose weight. It also keeps your heart strong and healthy, improves the circulation of your blood, boosts your immune system, improves your sleep, reduces stress, and keeps your mood up as it causes your brain to release endorphins! Not to mention, it will give you more confidence as you will not only feel better but also look better. With all of these benefits that cardio gives you, why not give it a try, right? It is one of the best tools in weight loss for women, after all. So, without further ado, here are some of the best cardio workouts to lose weight. Yep, walking can also be cardio! It’s probably the simplest form of exercise so it’s perfect for you if you don’t prefer extreme high-intensity workouts. The easiest way to improve your health, balance and strengthen your bones is just going for a walk! However, I’m not talking about a lazy and slow walk. In order for your walk to be effective, you should pick up the pace a bit. If you do it right, you can burn up to 400 calories an hour! Click here to find out more about how to walk off belly fat. Who doesn’t love to take a swim? Well, not only is it great exercise as it is the sport that uses most of the body’s muscles but it is one of the best cardio workouts to lose weight! 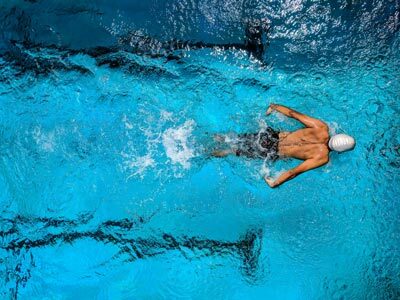 In an hour, you can burn up to 700 calories by swimming. Crazy, right? You’ll tone your muscles, build endurance, improve your overall health and up your weight loss at the same time! 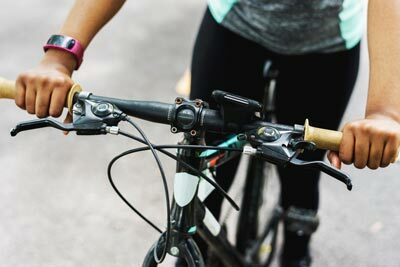 Cycling is not only a fun way to spend your free time and enjoy the nice weather. It is also a killer cardio workout, burning up to 600 calories an hour! You will strengthen your leg muscles, breath in some fresh air, and give your weight loss a serious boost! However, if the weather isn’t so nice outside, you can always do indoor cycling or even go to a cycling class! Cycling machines are great cardio machines as you can regulate the resistance and pick the intensity you’d like! 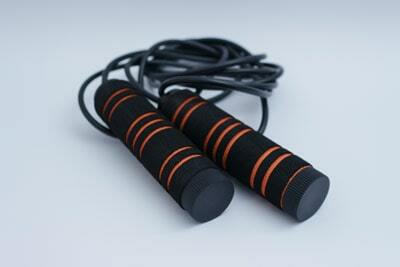 Jumping rope is another great fat burning method. It will improve your coordination as you focus a lot on your feet, it will improve your bone density, your cardiovascular health and, of course, you will burn calories! In just 10 minutes, you can burn up to 200 calories! Remember when you used to do jumping jacks in gym class at school all the time? Well, who’s to say you can’t do them now? Jumping jacks are a great cardio exercise. They engage many muscles of your body from your hands to your toes, they reduce stress and improve your bone health! Not to mention, they’re extremely fun and will remind you of your childhood. A 30-minute jumping jack exercise will burn up to 200 calories. Climbing up the stairs is another one of the best cardio workouts to lose weight! It’s perfect for strengthening your leg muscles and can burn even more calories than jogging! 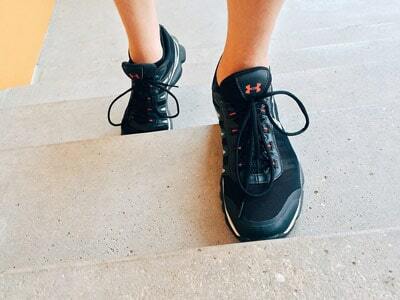 An hour of stair climbing burns up to 1000 calories. This is great because, in just 30 minutes, you can burn up to 500 calories, making this one of the most time-efficient cardio exercises, great when you’re in a rush but don’t want to skip your cardio! The best part is, it’s super easy to find a place to climb stairs. You can do it at home, at a park, and also at the gym! 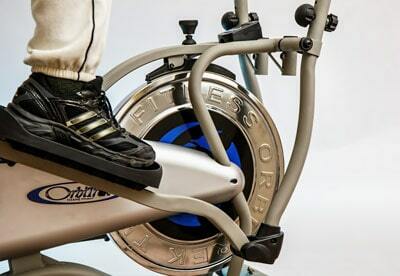 The elliptical machine is a great way to mix things up with your cardio routine if you’re bored of the treadmill. Plus, you can burn even more calories than you would on a treadmill! Which is probably why it’s one of the most popular fat burning cardio workouts for women. During a 30-minute elliptical workout, you can burn up to 600 calories. However, make sure to add a decent amount of resistance in order for the cardio to be effective. Also, don’t forget to go backward, which will engage and strengthen a completely different group of muscles. So there you have 7 of the best ways to do cardio for fat loss. There are so many other different ways to do it, it’s impossible to mention all of them. You just need to use your imagination! But what if there was a way to get 2x the results in half the time with your cardio training? Well, there actually is! And all you need to do to find out this secret cardio for weight loss formula is read the 15 Day Di.et Plan. The program will show you how to maximize your exercise results, as well as tell you exactly what to eat and how much to eat in order to reach some amazing weight loss results! The 15 Day Di.et plan is not just a weight loss tool which will help you lose up to 15 pounds in the short period of 15 days! It will be the starting point of a new, healthier, happier, younger-looking and thinner you. Plus, they offer a 75-day money back guarantee, so the only thing to lose here is pounds! The question is, are you ready to stop putting off this important step and to begin a new chapter in your life? If YES, click here to find out more about the 15 Day Di.et plan. How To Lose 10 Pounds In A Week, Without Starving!